Anyone ready for a Mexican Fiesta? 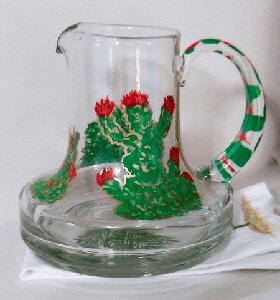 Then display your Mexican wedding cakes or tres leches cake recipe in Clearly Susan's hand painted cake plates to show off your favorite cakes and desserts for a party on a grande scale. 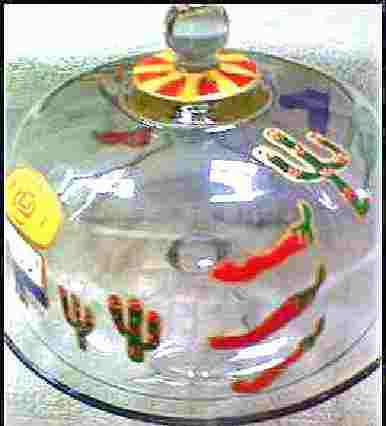 Our cake plates are hand painted with sombrero's, cactus, spurs and all Mexican designs that will surely be the hit of any wedding, birthday or Cinco de Mayo party! We will hand paint our cake plates to compliment you Mexican wedding cakes in colors, designs and style. The one thing we love about Mexican wedding cakes are they are so colorful and vibrant. That is why our cake plates will look great! 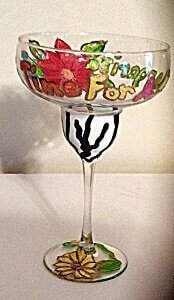 Be sure to check out our Mexican margarita glasses and pitchers to complete your next Fiesta.